These lessons are my specialty- classical vocal technique is about undoing habits that get in the way of a free flowing, supported tone. We will figure out how to use your true voice in its most beautiful and natural way. I can help your singing move in any direction that you would like to go! There are no limits on what can be done, and I want to help you achieve your goals, whatever they might be! My past students have had varied interests, and I have enjoyed working with all of my unique students in their own artistic areas of interest. Taught Children ages K-12 basics of music reading, how to read chant notation, and basics of singing. Lead the alto section of the church choir, including working with volunteers and appearing frequently as a soloist. Performed in children's operas in various middle and elementary schools throughout the Bloomington, IN community. Worked with Susanne Mentzer, Martin Katz, Dawn Upshaw, Graham Johnson, John Aler, and many other world-class musicians on improvement of singing technique, artistic freedom and expression, and musical relevancy within the world of Art Song. Taught private voice lessons to students ages 7-26 in the genres of pop, country, and vocal jazz. Led alto section of the church choir and assisted volunteer musicians with learning music. Also appeared frequently as a soloist. Sang in the chorus of multiple productions during the opera season. Taught High School Students private voice lessons. Assisted in preparation for solo and ensemble competition as well as the Texas All-State Choir auditions. Taught Junior High and High School students private voice lessons. Taught 18mo-2yr children in childcare setting. Ensured a safe environment for the children and assisted with planning and executing all classroom activities. 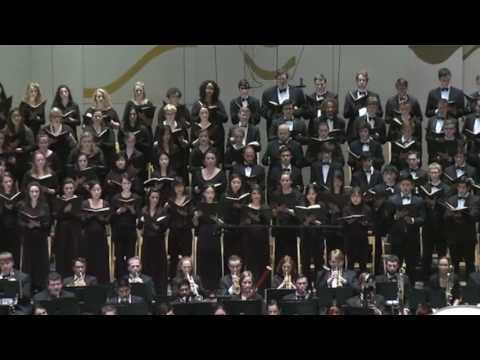 Here, I am the soprano soloist for Benjamin Britten's War Requiem. 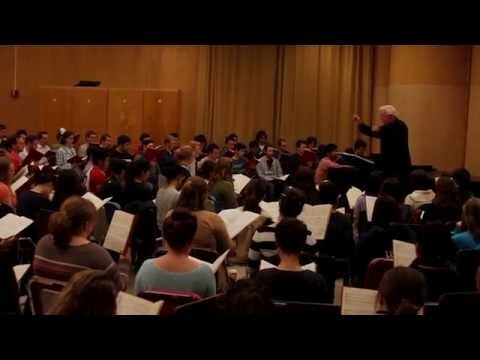 Here I speak about performing the Soprano Solo in the Britten War Requiem at IU in 2014. 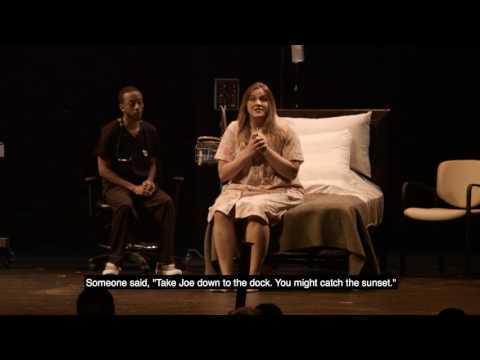 Here, I am playing an alzheimer's patient in an opera premiere recently. I think Megan is an amazing singer and performer! She is a wonderful friend and has true talent in the classical repertoire! I would highly recommend Megan as a teacher who is supportive and knowledgeable! It was a really fun experience to learn many helpful techniques ! Megan did a great job with my daughter, prepared her for college auditions and instilled confidence. She also challenged her to learn more difficult pieces that highlighted her voice which led to her acceptance at all three schools at which she auditioned. Megan is wonderful! She truly cares for her students and their success! Highly recommended! Ms.Wilhelm has been my favorite voice teacher that I have ever had! Since she is easy to open up to, and easy to be comfortable around, my voice improved so much! I never once was embarassed, or nervous, and she pushed me to give it my all and my voice became so much stronger and clearer while she was teaching me. If anyone ever were to ask me who to go see for voice lessons I would say Ms.Wilhelm! Where to start? I loved lessons with Ms. Wilhelm! Everything we did in the lessons bettered not only my vocal sound, but even my mechanics and mind process. Before I started lessons with her, I would constantly sing flat and I didn't have a clue as to why. Thankfully, Ms. Wilhelmina was able to sort out the kink and put me on track to betterment. I'm so thankful for her work and for the effort she put into each and every lesson. She definitely made me a better singer, and I would highly recommend her services to anyone wanting to better themselves in music. Megan is a stellar singer with meticulous attention to technique and artistry. I had the pleasure to work with her this summer, and can attest to her reputation of being a patient coach and fantastic colleague. She personally helped me improve technical issues in just our first coaching. Anyone taking lessons with her or working closely with Megan are in the company of a first class singer, technician, and humble person. She is one amazing person and is very supportive and encouraging! Her skills are quite obviously demonstrated by her performing as well as her teaching. She knows quite a lot about her field. I highly recommend her! Ms. Megan was very helpful while I was preparing for All-State Auditions. I chose to continue lessons with her for the rest of the year and she helped we work on vocal technique, sight reading, and relaxation. Megan was an awesome voice teacher! She helped me develop the alto tone I have today, and I learned a lot from her. I definitely recommend!